- Bookings are not secured until a deposit or full payment is processed by the due date(s) established by the Titanic at time of booking. - The Management reserves the right to deny admission to any person who appears to be under the influence of drugs or excessive alcohol, or for disruptive behavior. - The right is reserved to vary advertised programs and prices. Seating arrangements are done three days prior of the event. Requested seating is not guaranteed after this period. - The right is reserved to change food menu items at short notice based on quality and availability of produce. - Cameras, Audio and Video recording equipment are permitted during any of the events inside the building but Titanic does not assume responsibly for damage or loss of any such equipment. - GST is included on all ticket prices. 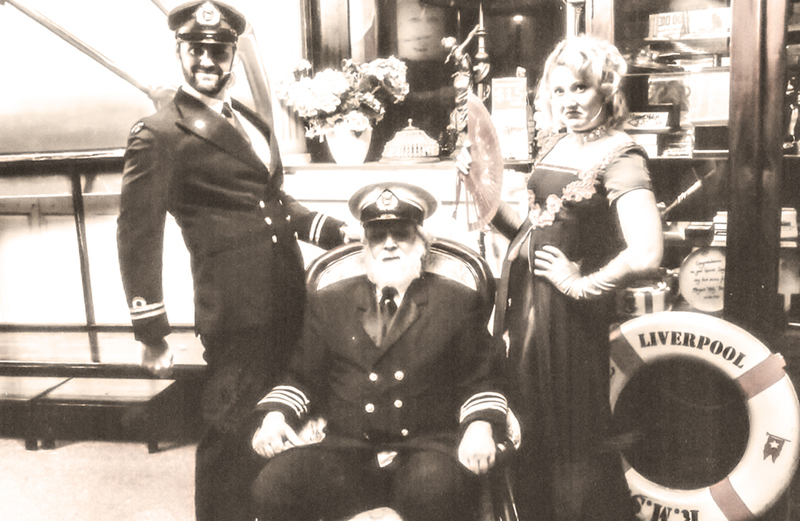 - Titanic is Fully Licensed - NO BYO - Drinks are not included in the ticket price unless otherwise stated. - Please advise if seating is required for larger persons or wheel chairs in order for your seating needs to be met. - Choosing 'Pay Later' will require you to pay a deposit by a due-by-date issued by our bookings office. - Dates not listed are either not available or sold out.Alternate payment options than available online can be arranged by phone call only. - Your booking details and personal details entered online are secured by the latest SSL encryption. - Titanic's preferred payment method is Direct Deposit as there are no additional fees involved. - We prefer that you use this method for payment even in the event of booking at short notice. - Titanic accepts VISA and Mastercard but in the event of a cancellation there is a $30.00 Charge Back Fee. - If you wish to cancel a booking please notify our bookings office 72 hours prior to arrival for small bookings (2 to 8) and 10 days prior to arrival for larger bookings.Bookings can be transfered to alternate dates at no loss to deposits or full payments. - If Titanic is not notified prior to arrival, and a deposit has been paid, your payment details will be charged in full on the night of your booking and cannot be redeemed as vouchers without contacting the bookings office. - Titanic will issue refunds for deposit and full payments made online or over the phone. - Refunds can be issued in the form of vouchers for an alternate date or as charge back into your account. - Please note there is a $30.00 charge back fee. The information contained in this website has been prepared solely for the purpose of providing general information about Titanic, their partners and the services offered by them. Whilst every effort has been made to ensure that the information provided is accurate, it does not constitute any form of advice, recommendation, representation, endorsement or arrangement by Titanic. The information presented is believed to be reliable but it's subject to change at any time without notice. Titanic do not guarantee its completeness or accuracy. By accessing this website you agree that Titanic will not be liable for any direct, indirect or consequential loss arising from the use of the information and material contained in this website or from your access of other material on the Internet via web links from this site. The copyright in the material contained in this website belongs to Titanic. Any person may copy any part of this material, subject to the following conditions:The material may be used only for non-commercial purposes;The copies must retain any copyright or other intellectual property notices contained in the original material;The products described in this website may be the subject of other intellectual property rights reserved by Titanic or other third parties. No license is granted in respect of those intellectual property rights;Images, pictures, videos, logos and graphics on this site are protected by copyright and may not be reproduced or appropriated in any manner without written permission of their respective owner(s).